This is a bit of a change from my usual recipes, however I have made biscuits before, just not cheese biscuits and jam making is a huge part of patisserie. Jam is used in so many desserts and is a great way to preserve fruit all year round. I want to try and make more savoury recipes this year, they will still feature pastry of some kind because that is what i’m always seeking to improve. However I want to learn about sausage rolls, pies, quiche, bread and share them all with you here. 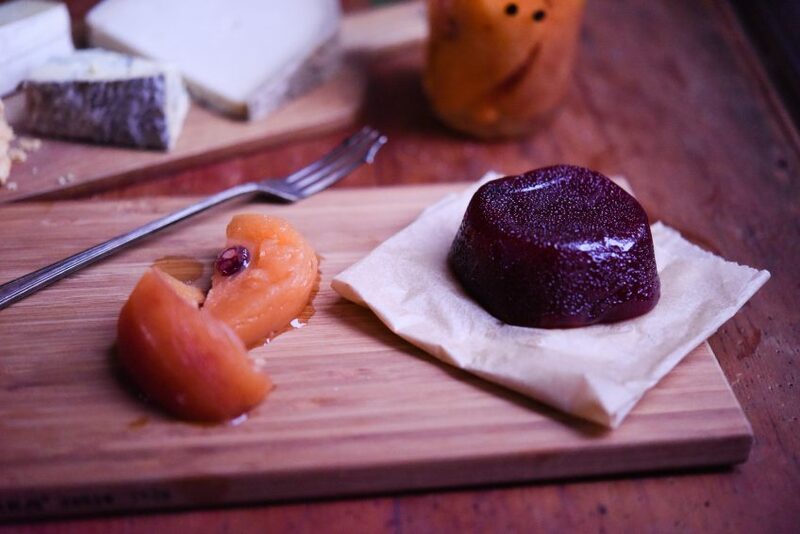 There were many contributing factors to this post, a huge quince harvest last Summer and a visit to a new cheese shop, meant that I had to use up the quince puree that was in the freezer and turn it into membrillo. I love quinces, they have such a great flavour and they become a gorgeous deep purple colour when they’re cooked down. I had a lot of quinces,so I used a kilo of puree to make the quince paste, I still have a kilo of puree in the freezer and I preserved some using two different methods. One is a Nigel Slater recipe and the other is from Bojon Gourmet. 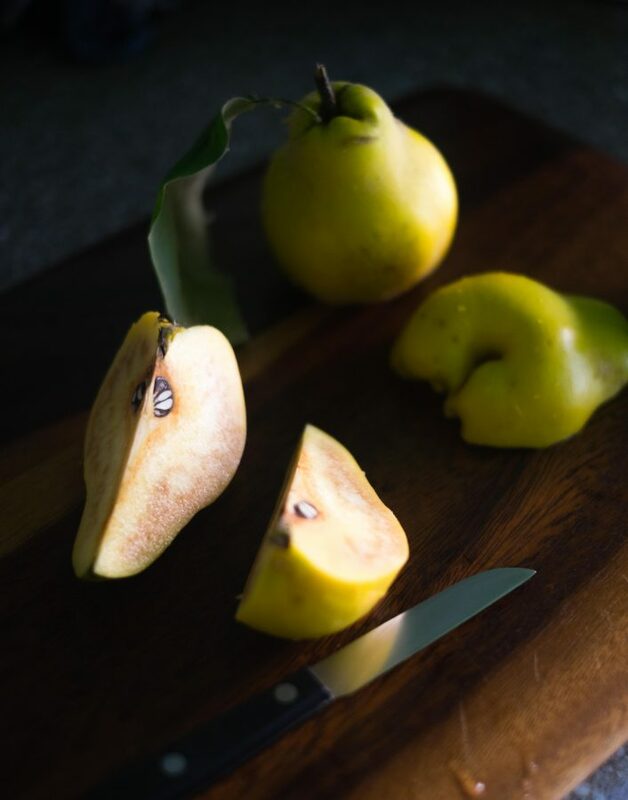 They are both great recipes, the pickled quinces are great with cheese and cold meats, the other recipe is lovely to serve with ice cream or add to pies and crumbles. I’m concentrating on the membrillo and pickled quinces though, I wanted to serve them with the delicious cheese I got from the Jericho Cheese Shop and I wanted to make a biscuit to serve with them. The biscuit comes from Justin Gellatly’s book ‘Bread, Cake, Doughnut, Pudding’, I know this book has been around a long time, but I only just got a copy for Christmas. The recipe is brilliant and there’s lots of other stuff I’d like to make as well. 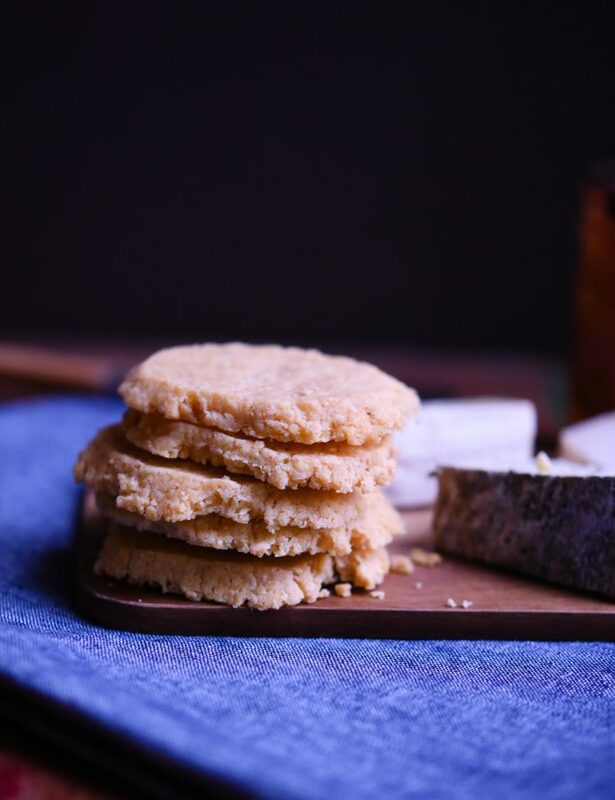 These biscuits are very buttery, cheesy and crumbly, they go really well with the quince paste and they’re very strong, so be sure you like cheese before you make these as they are not shy and retiring, or use a more mild cheddar. This is a really great cheese biscuit recipe that can be made with cheddar or parmesan. I halved the recipe, but if you have a crowd to feed you can easily double the ingredients. Put all of the ingredients into a bowl and mix together with a wooden spoon until it starts to form a ball. Scrape out the dough onto a piece of cling-film, shape the dough into a log that is 5cm in diameter and chill in the fridge for at least 2 hours. Preheat the oven to 180C/160C Fan/Gas 4 and line a baking tray with greaseproof paper or a silicone mat. Remove the clingfilm and slice the log into rounds that are 1cm thick. Place them on the baking tray and bake for 20 mins or until golden brown. The biscuits will be really fragile when they're hot, leave them to cool on the tray and then use a palette knife to move them to a wire rack to cool completely. These will keep in an airtight container for about a week. 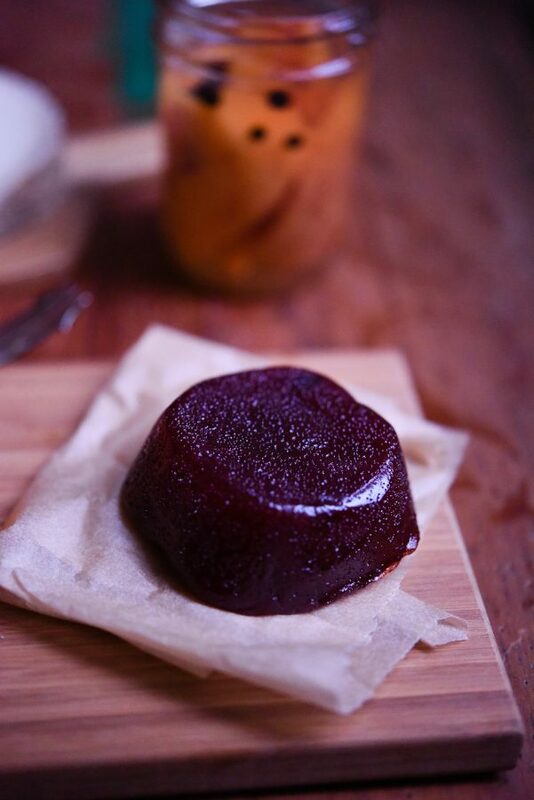 To make this I used a silicone muffin pan because it makes the membrillo easier to turn out. You can always use a greased loaf tin or tray, whatever you have. If you need to make quince puree, wash your quinces, remove the little black bit at the base and wash off the fluffy covering. Chop the quinces and put them in a heavy-based saucepan or preserving pan with enough water to cover. Bring to a simmer and cook until completely soft and pulpy. It will take about 25 minutes. Push the pulp through a nylon sieve into a clean bowl. When you have sieved it all, measure it. You will need roughly 1.2kg of quince to make a kilo of quince puree. Place the puree and sugar in a large preserving pan and simmer very gently for 1–1½ hours until it is really thick. Be careful as it can spit, you need it to be so thick that, when you scrape your spoon across the bottom of the pan, it leaves a clear channel before closing up again. It also starts to come away from the sides of the pan as you stir, forming a thick mass. Brush the silicone muffin pans with flavourless oil, this will help you de-mould the membrillo. Pour the mixture into the moulds. 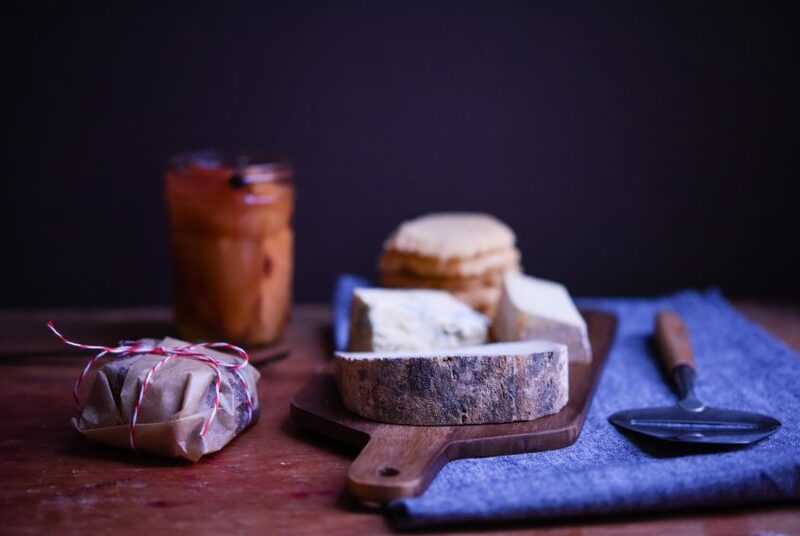 If you’re looking for more cheeseboard inspired recipes, take a look at this post on how to create a cheeseboard, or perhaps a recipe for fig jam? If you’ve got leftover cheese (is there such a thing? ), you can try making this cheeseboard pie. Brilliant! 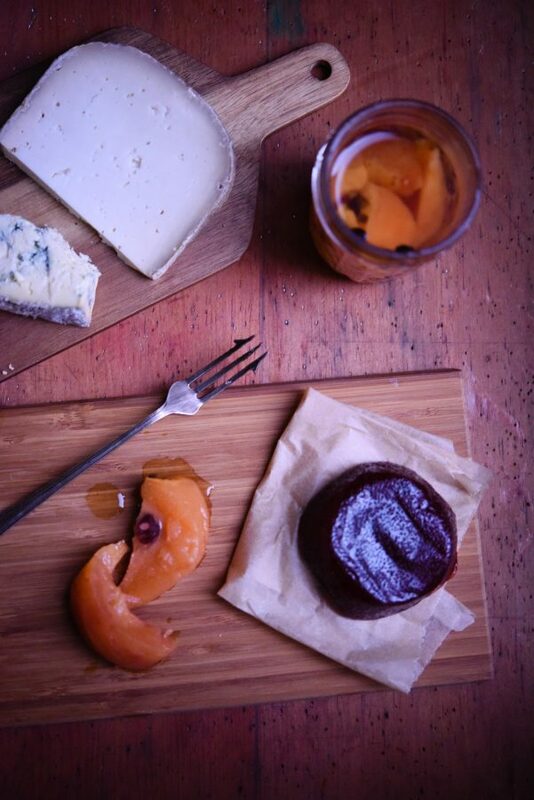 I’ve recently discovered quince paste and fallen in love. This is such a great idea. Isn’t it great? Delicious to use when cooking meats as well, especially chicken and lamb. That’s a great recipe! I was looking for some cheesy recipes and there we are, finally found a yummy one! Thank you, so glad you like this! I hope you enjoy the biscuits! 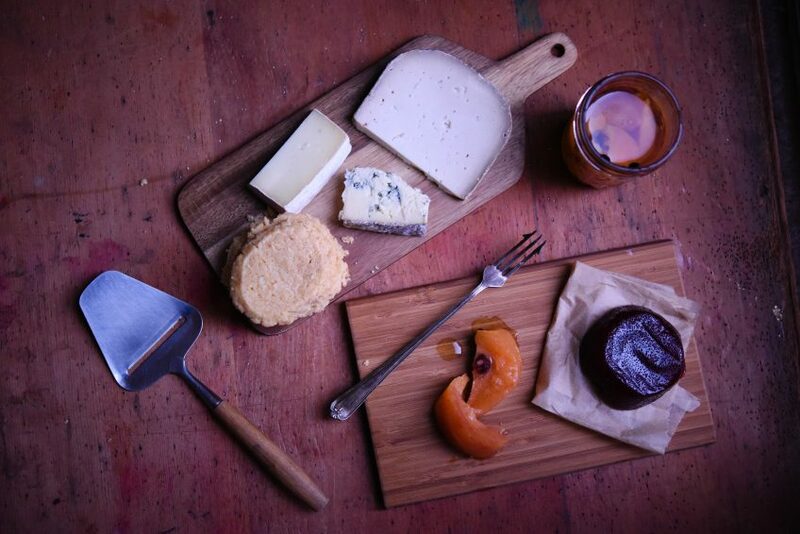 That quince paste looks delicious and those biccies look so cheesey and nom! 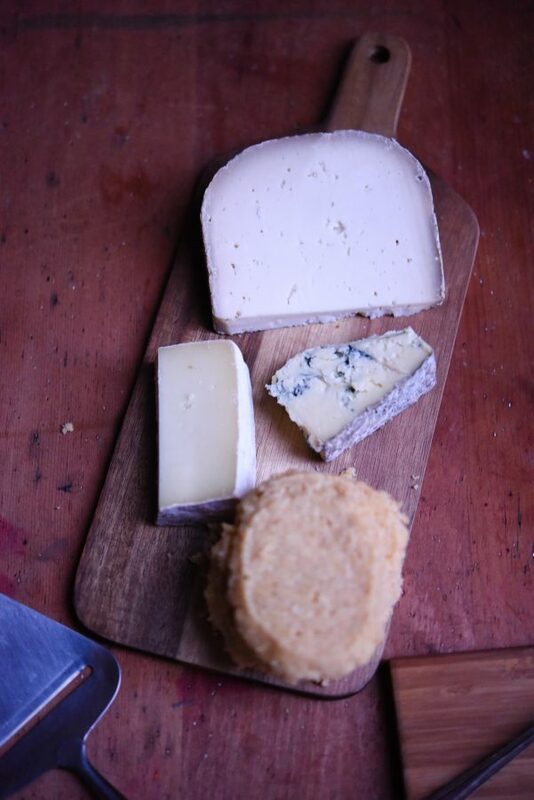 I have never tried making my own cheeseboard biscuits before but now I really want to! Oh you really should try, they’re great and they have so much more flavour than most shop bought. This is bringing back happy memories of Christmas. I ate so much cheese and biscuits it was rediculous. Oh Dannii me too, I think I ate all the cheese in our county at Christmas time. It was crazy. Those cheesy biscuits looks so light and crumbly – wonderful! I’ve never made membrillo but might give it go next time there are quinces about. Thanks for these recipes! The membrillo is really easy to make, just takes a long time for the liquid to boil down. You’ll really enjoy it. Those cheesy biscuits look amaaaazing! I know I would love those. I’ve never heard of membrillo – in fact I don’t think I’ve ever even had a quince! – but it looks really yummy! Membrillo is really great and it goes so well with manchego. Quinces are great in crumbles as well. You should make it, it’s really easy. You can make it with plums too apparently. I’ll have to give your fig jam a try, it looks delicious. What a perfect treat for a nice night in! Whether for 2 or 20, everyone would love these! These are great for a night in, open a bottle of something good and you’d be really happy. 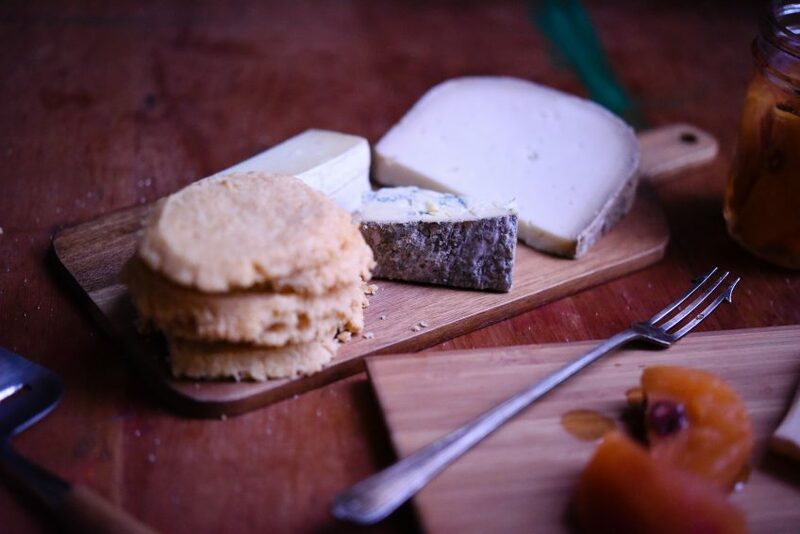 I learned something new today and have to say thank you – before I stumbled by, I hadn’t ever heard of “Membrillo” – your cheese biscuit and Membrillo sound delightful. I’m so glad to have taught you something new. Membrillo is the Spanish name I think, it’s sometimes called quince paste or quince cheese. It’s really great with cheese or for using when cooking meats etc. Two brilliant recipes. I am always amazed how a humble and to be honest quite boring quince can be transformed into a glorious colourful paste. Quinces are amazing aren’t they? The deep purple colour they become is just amazing, I love the floral scent as well. I completely agree, leftover cheese is not a thing in our house either, but I did buy some cheese especially for this.